1. Do you think Vreeland accurately portrayed the Gilded Age? 2. 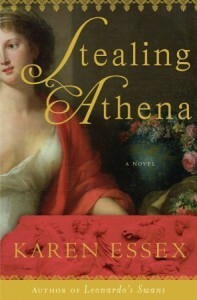 What do you think it would have been like to have lived during the Gilded Age as a woman? What about as a man? 3. How does New York City come across in Clara and Mr. Tiffany? Does it become another character in the novel? Why or why not? 4. How many men did Clara love? Who were they? What caused her to be attracted to each one? Were there any problems that sprouted from her love life? 5. What were Clara’s personal goals? Were they similar goals to other ladies of her era? Did she achieve them? 6. What activities brought Clara enjoyment and made her feel free and full of life? What things did she detest? 7. Was Clara a likeable character? Did you want to see her succeed? If you could change something about her circumstances, what would it be? 8. What other characters struck you? Was there anyone you didn’t like? 9. What are some of the social contrasts that appear in Clara and Mr. Tiffany? How do these contrasts shape Clara’s character? 10. In what ways was Clara a progressive woman? How did her politics affect her life? 11. What kind of experience did Clara have at her first Tiffany Ball? (Chapter 9) Who did she go with? What did she learn? 12. How do Clara and Alice describe Tiffany? (Chapter 27) What are Clara’s true feelings for Mr. Tiffany? 13. Was Mr. Tiffany a progressive man? Why or why not? Did he have any conservative leanings? 14. How would you describe Louis Tiffany? Was he a good artist? Was he a good man? 15. 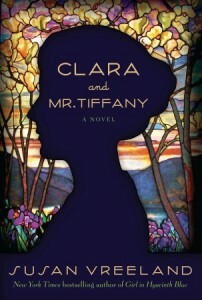 Do you think that Clara should have continued working at Tiffany Studios? Why or why not? 16. What place was Edwin moved by? Why? What were iconic places and objects of the Gilded Age? 17. Susan Vreeland is described as a lush and lyrical writer. Can you think of any examples of when she made you feel immersed in a scene or wading in the poetry of her prose? 18. Has anyone read any other books by Vreeland? 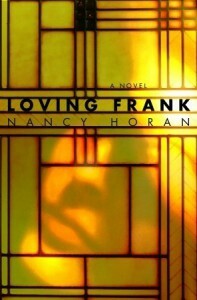 Was this book similar or different to her other novels? Would you read more by her? 19. Do you think things have changed for women in the arts? 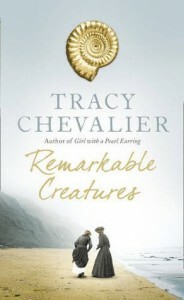 20. Who would you recommend this book to? Why? Stop by the Reference Desk for nonfiction books and online resources on Louis Comfort Tiffany and company.